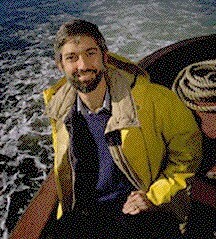 Dr. Stephen Palumbi , keynote speaker at the 2010 College of Charleston’s Graduate Program in Marine Biology Colloquium, has recently published a book with Carolyn Sotka in November 2010. “The Death and Life of Monterey Bay: A Story of Revival” co-authored by Steve and Carolyn is now widely available online for purchase. Carolyn Sotka has also donated two copies of the book to theMarine Resources Library for anyone to check out. For more information please visit this website. A brief summary of the book is listed below. Anyone who has ever stood on the shores of Monterey Bay, watching the rolling ocean waves and frolicking otters, knows it is a unique place.But even residents on this idyllic California coast may not realize its full history. Monterey began as a natural paradise, but became the poster child for industrial devastation in John Steinbeck’s Cannery Row, and is now one of the most celebrated shorelines in the world. resplendent. How did it happen? to invest in a world-class aquarium. The shores of Monterey Bay revived because of human passion that enlivens every page of this hopeful book.